It’s like the NFL is trying to sabotage itself. Every week, I hope that when I check the primetime schedule, I’ll find an exciting matchup. But so far, every week I’ve been highly disappointed. Since my Oakland Raiders have found themselves in first place in the AFC West, I’ve been able to live with it. I will admit that it can be difficult to gauge how successful a team will be just by looking at their roster on paper. Those in charge of scheduling could make a big gamble, leading to a few not-so-entertaining games, but that’s not really what we’re witnessing. According to CBS sports, ratings are down 12 percent. Commissioner Roger Goodell has attributed the decline to competition with the presidential debates and the fact that Thursday night games are viewed on NFL Network and aren’t as accessible. Others have argued the ongoing national anthem protests that some players are engaging in have created a disconnect. It could be fair to argue that there’s a bit of oversaturation with NFL games being played Sunday, Monday, Thursday and even Saturday as we go deeper into the season, but as a fan, I see it differently. While I will admit that I tuned into every presidential debate, regardless of what teams were playing, I would also like to note that it’s 2016, and we have the ability to watch both at the same time. The future is here. Switching games to NFL Network has nothing to do with the fact that those games have been terrible. Dolphins v. Bengals? 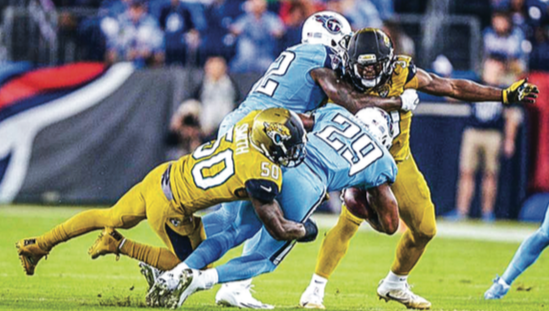 Jaguars v. Titans? This season, Twitter introduced the ability to stream games via the app, so the opportunity is there. The problem is that no one wants it. For instance, this week’s Thursday Night Football matchup will be the Cleveland Browns taking on the Baltimore Ravens at M&T Bank Stadium Nov. 10. 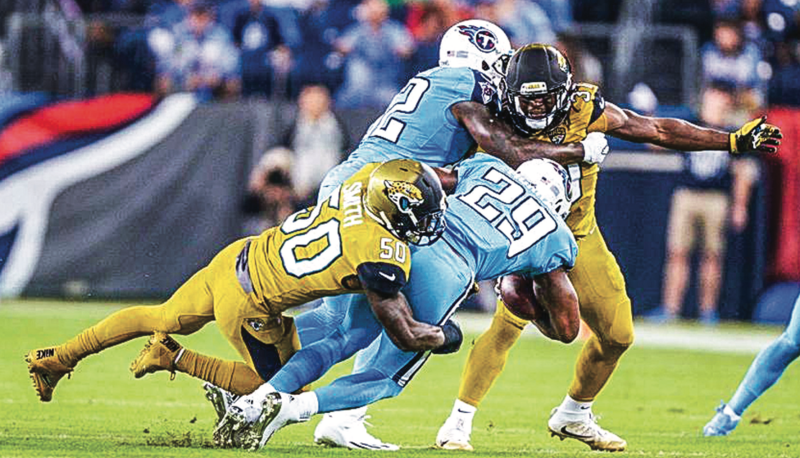 There’s been a big push to expand America’s game internationally, with three NFL games being played in London and a game being played in Mexico City in week 11. But considering the fact that the primary audience of NFL fans are losing interest, I can’t help but think that the NFL has lost sight of its priorities. Poor planning isn’t the only thing contributing to the lackluster season, but what else could possibly be the issue? He isn’t wrong. As a fan, I’ve witnessed the Ochocinco’s of the league be fined more for celebrating than others have been for actually violating conduct rules and/or laws. So, not only am I being forced to watch the Browns in primetime, I’m assured that nothing interesting will be allowed to take place. “No Fun League” it is. Carter is the opinion editor.